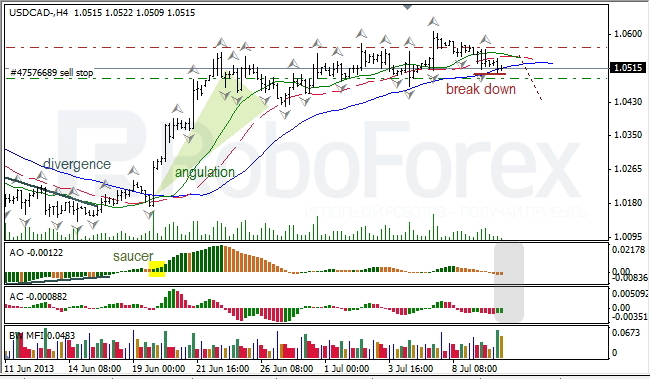 At the H4 chart of the USD/CAD currency pair, the Alligator closed its mouth and went to sleep. The price is forming a bearish fractal; AO and AC indicators are in the grey zone; there is a Green bar on the MFI, but no Squat ones. I’m keeping a pending sell order with the target below the bearish fractals. 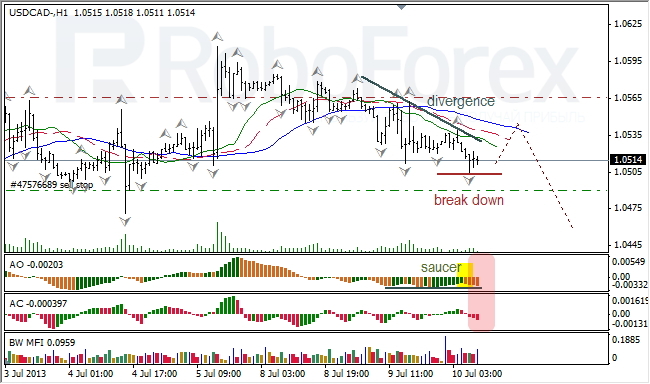 At the H1 chart of the USD/CAD currency pair, the Alligator made a reverse downwards. AO and AC indicators are in the red zone; we can see a divergence and Saucer on AO; there is a Fade bar on the MFI and might be a Squat one too. After completing a bullish fractal, the price is expected to start falling down. 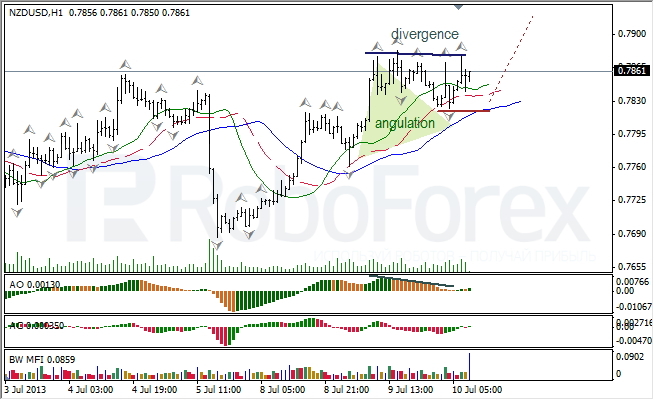 At the H4 chart of the NZD/USD currency pair, the Alligator is making a reverse upwards. The price is forming a bearish fractal; AO is in the red zone, AC is near the balance line; there is a Fade bar on the MFI and might be a Squat one too. I expect the price to start moving upwards. At the H1 chart of the NZD/USD currency pair, the Alligator is moving upwards. 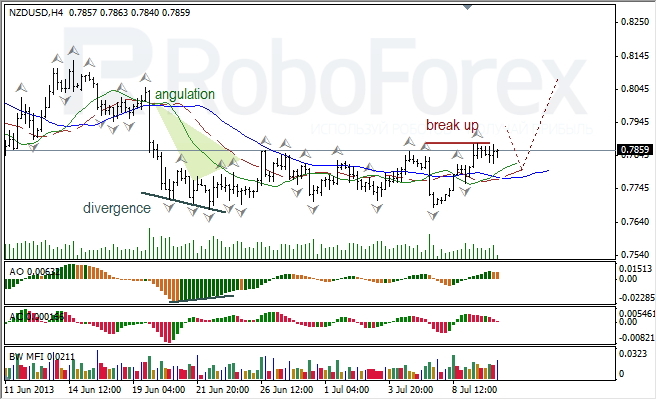 The angle of angulation is closed; the price is forming a bearish fractal; AO and AC indicators are near the balance line; there is a Fade bar on the MFI. After completing the bearish fractal, the price is expected to start growing up.